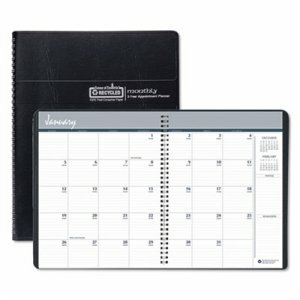 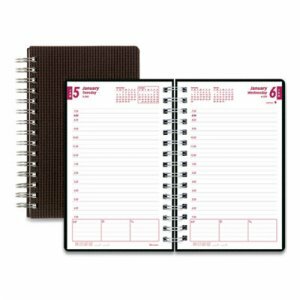 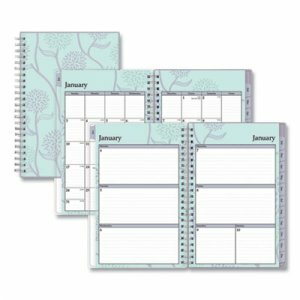 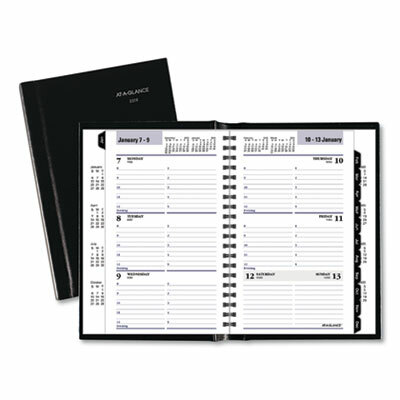 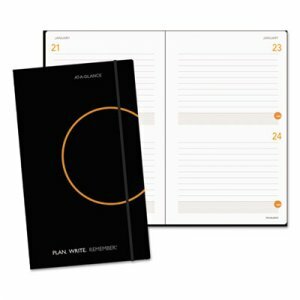 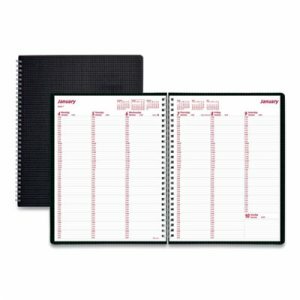 Convenient quarterly planners for current and following year. 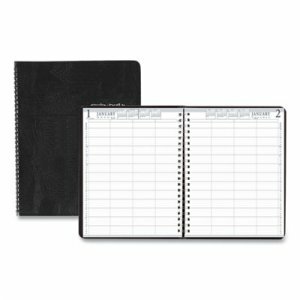 Includes notes pages, a telephone & address section and tear off corners. 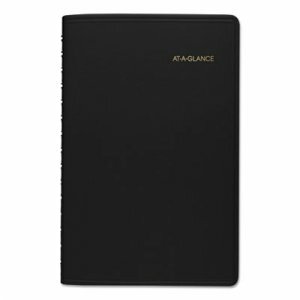 Elemental Chlorine Free. 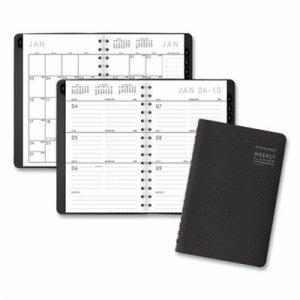 PVC-free. 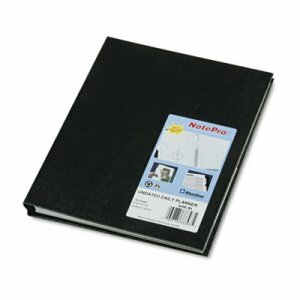 Packaging contains 75% total recycled content. 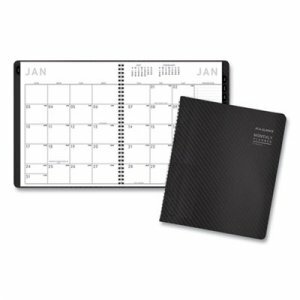 Paper contains 50% post-consumer recycled content, 50% total recycled content; binding contains 67% post-consumer recycled content.